Insurance Lynchburg VA | Leech & Hicks Inc.
Save money on insurance coverage without sacrificing the customer service you deserve. Having insurance is important. Having GREAT insurance is even better. Insurance Lynchburg VA is not only a requirement . . . it is a necessity when it comes to protecting you, your loved ones, and the assets you have worked hard for to possess. As a family-owned business founded in 1961, we run our company based on the principles we find most imperative to having a successful relationship and client-focused company: honesty, dependability, and trust. We want our customers to feel a part of our family—cared for, secure, and comfortable. At Leech & Hicks, you will always be provided with a one-on-one consultation with insurance agents who have been trained to listen to your needs, understand your concerns, and in turn, present you with the best possible coverage at the price you desire and, more importantly, deserve. Working with over 20 different insurance providers, your personal insurance agent will do your research for you—there will be no need for you to shop around—let Leech & Hicks do it! We do not want you to feel like “just another customer”—we want you to know that you are cared about, and that we are here for YOU—to walk you through all of the steps of insurance—whether it be from getting a quote, filing a claim, or answering any coverage questions you may have. No matter what kind of insurance you are looking for: Auto, Homeowners, Motorcycle, Boat/PWC, Life, etc., Leech & Hicks is here to help. Contact us today to get started! 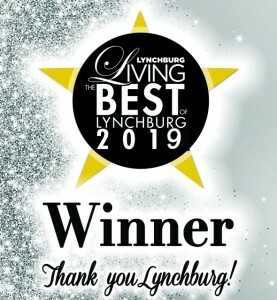 Reader’s Choice Best of Lynchburg!